In 2016, Ochsner Health System and Slidell Memorial Hospital (SMH) formed a partnership to provide residents of the North Shore comprehensive, integrated and innovative care. Through our long-term strategic partnership with Slidell, we are making care more affordable for patients while improving quality and increasing local access to care. More patients are being treated closer to home, while still having access to the nationally recognized specialists and the depth and breadth of care Ochsner is known for. Our collaborations have led to decreases in patient complications and better outcomes. Some services from Ochsner Medical Center – North Shore have been moved to Slidell Memorial to provide a higher level of service, and more patients with specialized care needs are being transferred from Slidell to Ochsner Medical Center. Search for a physician affiliated with our regional clinical partner Slidell Memorial Hospital. The SMH emergency room implemented Ochsner’s CareConnect 360 TeleStroke Program, providing critical intervention. TeleICU, TelePsych, Avasys e-Sitter to prevent inpatient falls and other TeleHealth programs are being implemented as well. All inpatient rehabilitation services have been consolidated at Ochsner Medical Center – North Shore, the only hospital in the region with fully functional Lokomat robot-assisted walking therapy and dedicated occupational and physical therapy gyms. Robotic surgery was brought to Ochsner Medical Center – North Shore for general surgical and urological procedures. All Sleep Lab services have been consolidated at Slidell Memorial Hospital. The consolidated lab now offers sleep studies on weekends and weekdays, and is able to serve more patients. All pediatric inpatient care has been consolidated at Ochsner Medical Center – North Shore. Greater access to pediatric ICU staff and subspecialists is translating to more consistency in care. All chemo infusion services have been consolidated at Slidell, and the chemo infusion suite has been expanded. Outpatient imaging has been consolidated at Slidell, offering a more convenient and patient-friendly environment, and enabling more scans. Interventional cardiology services have been consolidated at Slidell, offering 24/7 on-call coverage and resulting in faster door-to-balloon times, and increases in cath lab and heart surgery patients. 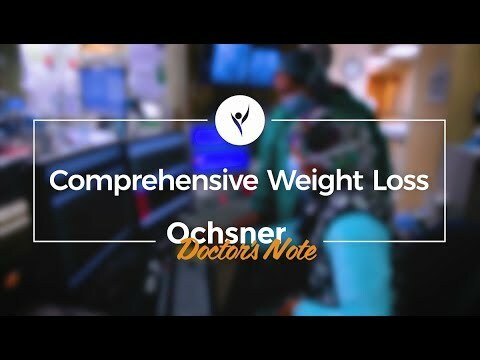 In 2017, Slidell and Ochsner launched a Comprehensive Weight Loss clinic to bring together the comprehensive bariatric surgery program at Ochsner Medical Center – North Shore and the Ideal Protein & Nutrition Consulting services at SMH.